LRD roof technology. Get your roofs ready for emergencies. LDR - Leak Detection Ready. Increase the safety of your property with LDR technology and inexpensively prepare your roof surfaces for optimal testability. SLD-Europe offers a variety of innovative hardware components to make flat roofs more reliable. Various safety levels, integrated into an entire control-system. With the LDR wire-technology, you can prepare all ballasted and green roof surfaces in just a few steps, optimizing the physical verifiability using the SLD-Sensor Leak Detection method. High-quality components at fair prices, as well as optimal consultations, increase the security of your roof surfaces. An uncomplicated and inexpensive step - with great effect! The LDR wire-lines are highly conductive, weather-resistant and meet the requirements of the RAL standard. 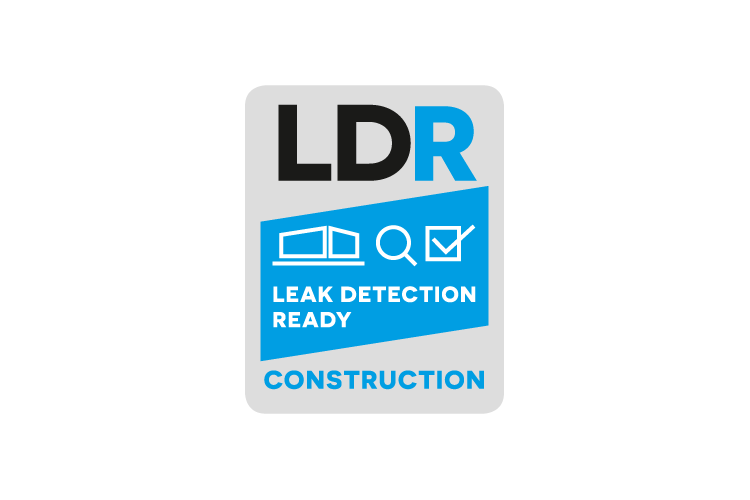 SLD EUROPE also been certifying pre-fitted flat roofs with the Leak Detection Ready seal since 2015 – the high reliability and accuracy of the tests easily support this. We would be delighted to prepare an individual quote just for you. Contact our sales department or use our call-back service.